In the second episode of American Horror Story: Freak Show, one character stood out from all the rest as the freakiest one of them all. 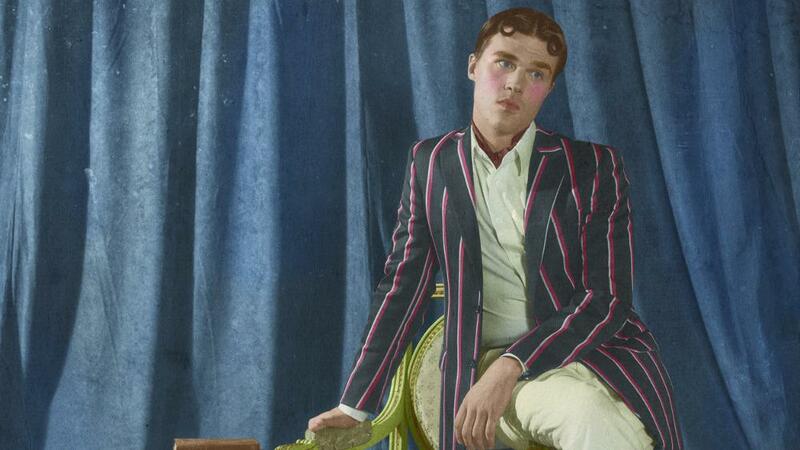 Here’s why we love Dandy Mott and all of his strangeness. The spoiled young man with intense momma issues didn’t have a lot to do in the AHS season premiere, but he still had quite the impact. In the second episode of the new season, “Massacres and Matinees,” Dandy let his freak flag fly high. Here are some of his craziest/best/most amazing moments from the episode. Dandy doesn’t like anything boring. 2. Drinking booze from a baby bottle. Come on, who out there doesn’t wish they could do that sometimes? It looks like Dandy might not be giving his momma any grandbabies anytime soon. Who knew Dandy had such big dreams? How many creepy clues from the AHS: Freak Show intro can you find? 6. Dandy doesn’t like caramel corn that tastes like cardboard. But then again, who would? 7. Yep, he’s definitely a sicko. Guess who’s been killing the neighbor’s cats? At least Dandy is aware that he’s a freak. He’s not afraid to show his anger in the most frightening way possible. 10. Dandy isn’t afraid of Twisty the Clown. It looks like someone has found his soul mate. 11. He even tries to entertain Twisty with a puppet show. No one says “no” to Dandy. And don’t you forget it, Twisty. 14. He takes a peek in Twisty’s bag. Very bad idea. 15. He follows Twisty home. Dandy likes to bring his friends treats. What’s wrong with that? Uh-oh, Dandy has discovered a new form of entertainment. Be sure to check out the next episode of American Horror Story: Freak Show to see more of Dandy’s antics.